A new permanent exhibit that examines the life and times of President Calvin Coolidge will open August 6 at the 30th President’s state historic site and childhood home in Vermont. The Vermont Division for Historic Preservation will host the exhibit’s grand opening on Plymouth Old Home Day at the President Calvin Coolidge State Historic Site from 10 a.m. to 4 p.m. Gov. Peter Shumlin, Coolidge family members, and state officials will be among the honored guests at the opening of “Calvin Coolidge: His Life & Legacy” at the President Calvin Coolidge Museum & Education Center at 10 a.m.
“Calvin Coolidge: His Life & Legacy” will include interactive features, historic newsreels, a voice recognition station and a holographic image. The Division for Historic Preservation has worked closely over the past several months with Media-FX, a Montreal -based design firm noted for its innovative, interpretive displays. 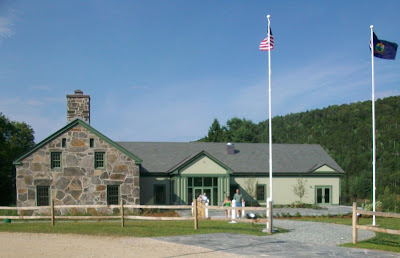 The grand opening and Plymouth Old Home Day will continue with building tours and performances by pianist Abigail Charbeneau and the Green Mountain Brass Band. Also on exhibit this season is “First Pets: The Coolidge White House Animals,” which reveals the important role animals played in the private life and public image of the Coolidge family. 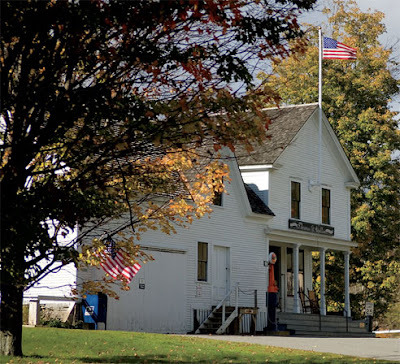 Plymouth Old Home Day is the great opportunity to explore Plymouth Notch, considered one of the best-preserved presidential sites in the country. Twelve buildings are open to the public including the Coolidge Homestead, Coolidge Birthplace, general store, village church, cheese factory (still making cheese using the original 1890 recipe), and 1924 Summer White House office. An outstanding collection of early agricultural equipment is displayed in the Wilder Barns.